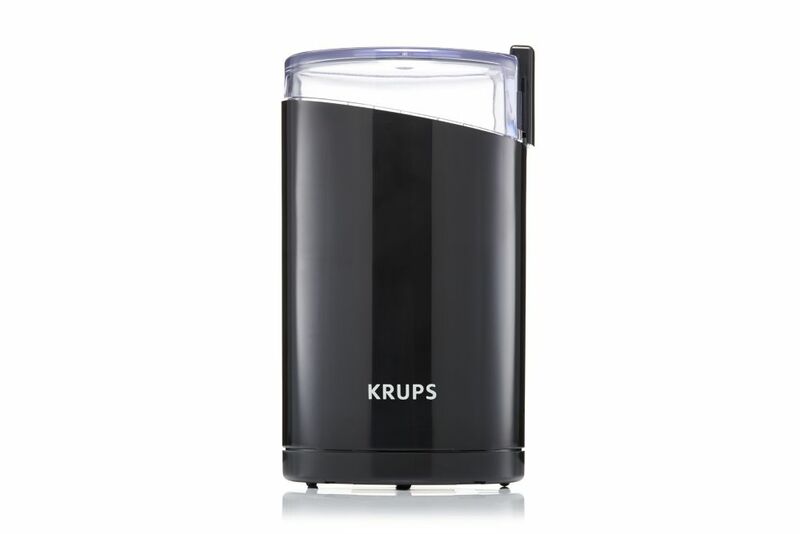 Grinds up to 3 ounces of coffee beans in seconds. Large grinding capacity yields up to 12 cups of coffee. Oval design and stainless-steel blades ensure uniform grinding for a perfect result. Stop paying extra for pre-sliced food! Slice your own meat, cheese, bread, vegetables and fruit quickly and easily with this high-quality slicer. The variable thickness control makes it possible to choose from 0 (safe mode when unit is put away), deli-thin (1/32") to thick (1/2"). The large multipurpose 7 1/2 inch serrated stainless steel blade handles a wide range of food sizes and shapes. Other highlights are the depth control and a strong, high-quality 200 watt gear motor. Savoy Coffee and Spice Grinder Grinds up to 3 ounces of coffee beans in seconds. Large grinding capacity yields up to 12 cups of coffee. Oval design and stainless-steel blades ensure uniform grinding for a perfect result. Savoy Coffee and Spice Grinder is rated 4.8 out of 5 by 37. Rated 5 out of 5 by tcrbr from Grinds Coffee Beans Very Fast! I purchased my electric coffee grinder over a year ago, but recently began using it. I am enjoying this product. Just toss the beans on top of the blades, make sure the top is on securely, then press down a few times and there you go, freshly ground coffee beans. Easy to use and fresh coffee. I only purchase whole coffee beans now that I have this grinder. To clean it out I would recommend taking a paper towel and wiping out the extra coffee that remained on top of the blades. I'm happy to have this product. Rated 5 out of 5 by Coffeeguy from Great! Great! Rated 4 out of 5 by Pounder123 from Nice small package, easy to use, doesn't take up much room. Electrical cord is very short and you... Nice small package, easy to use, doesn't take up much room. Electrical cord is very short and you'll need a plastic spoon to get all your grounds out.Used it a lot during the holidays for several weeks and it is still running, price was right and the pickup at the store was easy. Rated 5 out of 5 by Joe from This was a gift to my husband who uses it... This was a gift to my husband who uses it every morning to grind fresh coffee beans.His old one was totally worn out. (A different brand.) So far he really likes this coffee grinder. He likes that it grinds the beans very fine and quickly. Rated 5 out of 5 by Art from works fast. easy to use.... works fast. easy to use. Rated 5 out of 5 by Sakkoman from Clear external design; does its job quickly and well. This is a replacement for a similar unit th... Clear external design; does its job quickly and well. This is a replacement for a similar unit that lasted more years than I can remember. The motor has clearly been redesigned: it's quieter. Great product at a very good price.